A while back I ordered some books from Amazon, along with a copy of “Keepers of Light” which I mentioned some time ago. I’d like to share the other two as well as they are really great books. 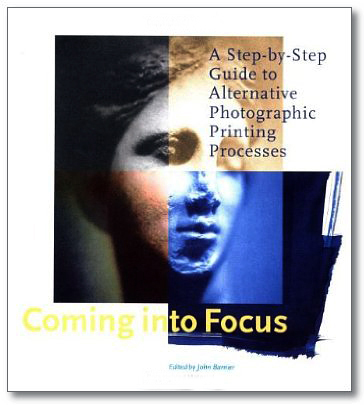 The first one is “Coming Into Focus” by John Barnier and the second one is “Historic Photographic Processes” by Richard Farber. I often referred to The Book of Alternative Photographic Processes by Christopher James, but really, I like these a whole lot better. The information is set up in a more clarifying way and more properly described.